Dixie-signed photograph courtesy of Melody Sweets, Las Vegas. Dixie Evans has passed away August 3, 2013 in Las Vegas, NV, born Long Beach, CA, August 28, 1926. The Marilyn Monroe of Burlesque, long-time American strip-tease artist, showgirl, performer, organizer, legend and icon did many things that inspired many people. In fact, a group had planned Dixie Evans Week to be held later this month as a fundraiser for her medical needs. Shows would - and still will - take place all over the nation, and world, to fundraise for Dixie Evans. Before that effort could meet her medical needs post-stroke in a Las Vegas facility, she passed-away. There is more to that story here, and information about the fundraiser and how you can participate to help give toward her final arrangements. Dixie lived an active life most recently in the press in the 90's, carrying on the collection of artifacts of strippers throughout history which Jenny Lee started. She also carried on the Miss Exotic World Pageant, now Burlesque Hall of Fame Weekend. From her birth in Long Beach, CA, to her opening of the original museum in Helendale, CA, she traversed the land to Vegas. A city where showgirls reigned at one time, with 30 pound head dresses, and bejeweled everything, seemed the right place for the collection. She accomplished that, and much more. She was a real-life figure for those who began a strip tease / burlesque revival in the 90's and 2000's, someone you could actually ask about the artform. I wondered if I could capture a snapshot of what those who knew her are saying about this date in the history of burlesque, and the passing of a woman so loved. In addition, I wanted to get the straight story from organizers about the upcoming Dixie Evans Week events and fundraisers. Here is what I collected this week while breaking my vacation, about the legend and legacy left. Dixie Evans left the earth before she saw world-wide fundraiser events in her name. Dixie Evans Week was created by a group of performers, spearheaded by Miss Exotic World 2002 Kitten De Ville. I'll let them tell you about that here. "I had heard about a burlesque museum being somewhere around Victorville in 1990 but no matter how much I searched I could not find it. In 1999 I was first introduced to Dixie by a friend . I was hooked. I entered the next Miss Exotic World pageant in 2000 and took 3rd place . I have gone back yearly to visit Dixie ever since. In 2002 I won both Miss Exotic World and Queen of the Quake. The whole idea of the Dixie Evans week sprang from my visit with Dixie in June of 2013. I knew she was in bad shape and there was nothing being done for her with in our burlesque community. In fact I did not believe that most people knew about her condition and that she was no longer receiving any help or funds from the museum. I was visiting with Luke Littell after my visit. (Luke has been Dixie's caretaker for years) and he was telling me how fast the medical expenses were going to eat up Dixie's savings. I felt that something needed to be done so I posted the photo taken from that day with Dixie with a statement that something needed to be done and a trust fund made. 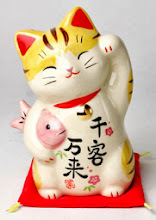 Here is the LINK to the June 4, 2013 post. My good Friend Angie Pontani called me up moments after posting, we brain-stormed and The Dixie Evans week was born. I am heading the Los Angeles area show. Now The money raised was and still is going to pay for her medical expenses and now for her memorial as well. This is a one time only event designed to raise funds for Dixie that would cover up the three years of medical and living expenses". "It was probably 2005 when I first heard about Dixie and Exotic World from performers like World Famous *BOB*, Tigger!, Julie Atlas Muz, Kate Valentine, and Dirty Martini. I started working with the Miss Exotic World Pageant in 2007 and met Dixie for the first time. Angie Pontani asked me if I would be involved with a week honoring Dixie and raising money for her medical costs - I said OF COURSE! I help specifically with outreach and our online presence. Our mission had not changed very much. There are still existing/outstanding medical bills that need to be paid. Now, sadly, there will be estate costs, funeral costs, and all costs surrounding her final accommodations. We would also like to have a memorial celebrating Dixie's life and legacy. Obviously it casts a shadow of sadness over all of us and all the events. *Instead of celebrating Dixie's birthday week WITH her, we are honoring her and celebrating her life's work "in memoriam". Hopefully we will be able to continue with the week every year - first we need to complete our mission, bury our beloved Dixie, plan and have a memorial and THEN figure out next steps. This is a difficult time for everyone who knew Dixie and the burlesque community as a whole. We have lost one of our greatest champions". "I can't pinpoint exactly when I had first heard of Dixie, but it must have been in 2001, that year is when word of Exotic World was quickly spreading in the newly expanding burlesque scene. I met Dixie for the first time at Tease-O-Rama, I believe it was the first one, 2001, though it may have been 2002. She was amazing, friendly and co-mingling in a giant dressing room with the entire cast. She regaled us with stories about burlesque and the museum and she asked questions about us and our lives and where we came from. I thought that was a nice gesture, here is a woman with the best stories in the world asking us about my dad's businesses and where we grew up. And she never forgot the answers to those questions, she was always asking me about how my parents stores were doing and how my sisters were, 10 plus years later. After we returned home from Tease-O-Rama, I sent her a thank you card just saying what a gift it was to meet her and hear her stories. She sent my sisters and I a signed 8 x 10 that still hangs next to my desk. It reads, "To The Pontani Sisters, three of the best entertainers I have ever seen. You are marvelous. Love Dixie Evans". As time marched on I was fortunate enough to spend a good amount of time with Dixie both in show environments and casually. I am very thankful for that..
Kitten de Ville and I were talking one day after Kitten had visited Dixie in her group home. Dixie lived in a great facility that provided very good care, but anyone who has taken care of a senior knows that the health care system is beyond challenging. The more money you have the, the more opportunities you are going to get for things like speech rehabilitation and physical therapy. We wanted Dixie to be afforded every opportunity for rehabilitation, not just the Medicare approved. One of things we were also discussing was how pivotal Dixie has been in the world of burlesque, I mean she is the pivot. If it weren't for Dixie and her tireless work at Exotic World, I think the burlesque renaissance would have happened quite differently if at all. We felt she needed to be celebrated worldwide. We wanted to reiterate and make sure that people are aware of the major contributions she has made to burlesque. Somewhere in this conversation, I think I just said, "Dixie needs a week of celebration, we need a Dixie Evans Week." And so it began". 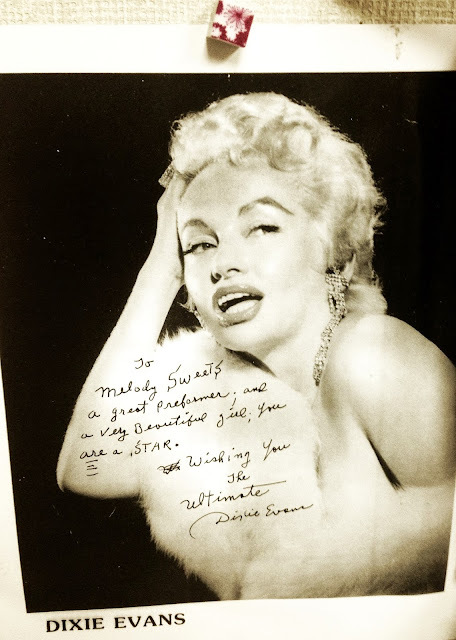 Our goal is to provide Dixie a resting place and permanent memorial in Westwood Village Memorial Park Cemetery, where many stars have been buried including Marilyn Monroe. This location will serve as a place where friends, family, and fans can go to pay their respects to Dixie forever. It is heartbreaking, one of the real driving forces for doing this week for me personally was to show Dixie how much she was loved, respected and appreciated by this world she was instrumental in creating. I am so thankful that she knew this was happening. She was so excited about the week and all the shows we have lined up. She saw all the action and updates on our facebook page and websites and several producers and performers had written her letters about their shows. I think with Dixie's passing, this week of celebration of her life will be more poignant then ever and so important in making sure that people all over the world are aware of her hard work with Exotic World and the Miss Exotic World Pageant (now BHOF). As the celebration continues on as an annual event, I think it will maintain it's importance in honoring one of our brightest stars and mentors"
With the passing of Dixie Evans on August 3rd, 2013, Dixie Evans Week will now become a celebration to honor the memory and celebrate the life of one of our most cherished legends, Dixie Evans. All funds raised during Dixie Evans Week through online funding, live shows and classes will be used to cover the costs of outstanding medical bills and preparations for Dixie's final accommodation. With your support, we hope to provide a memorial service for friends, families and fans on Sunday, September 1st in Las Vegas, Nevada, as well as to ultimately provide Dixie a resting place and permanent memorial in Westwood Village Memorial Park Cemetery, where many stars have been buried including Marilyn Monroe. This location will serve as a place where friends, family, and fans can go to pay their respects to Dixie forever. In order to accomplish this goal, we now need to raise a total of $42,000 - $54,000. As we all know, loved ones passing brings a large degree of uncertainty, and the expected breakdown of Dixie's final expenses is no exception. We will update these approximate numbers when we have more details, but we wanted to provide the public with a general idea of how funds raised for Dixie Evans Week will be distributed. Funds raised beyond Dixie's immediate medical, memorial, and final resting place accommodation costs will be relocated to another fund per the family's recommendation. Again, that's all via DixieEvansWeek.com. Our condolences to Dixie's fans, friends, and family. Dixie changed the lives of everyone in our burlesque community. We will miss her terribly. Dixie Evans, The Marilyn Monroe of Burlesque is the beloved Godmother of the new burlesque movement and during her birth week, performers and burlesque instructors from all over the world will host events, shows and classes to raise money for the burlesque legend and founder of The Miss Exotic World Pageant. With shows and classes already confirmed in NYC, LA, Dallas, Toronto, Australia and more, this is going to be a bawdy burlesque-packed week in honor of Dixie Evans. Help us honor the woman who kept burlesque alive and helped make the resurgence the wild success that it is! Visit DixieEvansWeek.com, after you read the below comments on her life from those who knew her. Here are statements from those near and dear, as collected In Memoriam of Dixie Evans. Working burlesque professionals have sent us comments to paint pictures of what Dixie meant to so many, and what's amazing is the variety of perspectives and positive impressions she shared. Here is a sampling, beginning with a statement from world-famous Las Vegas Resident and Burlesque Legend Tempest Storm. I was deeply saddened by the news of Dixie's passing. She was a great gal and so vital to the world of burlesque. The Hall of Fame will always carry on her memory and impact. My favorite memory of Dixie was how she spoke about the young performers that made the pilgrimage to the Mojave. She always mentioned how honored she was that young people remembered her and spent their hard earned cash to come to the Miss Exotic World pageant. It meant the world to her that burlesque was not forgotten and was growing into a new form like a Phoenix from the ashes. At the same time, young women redefining feminism and making it glamourous needed a role model and they found it in Dixie. She was the quintessential new burlesque performer. She told little stories with her burlesque routines; Beautiful dirty little stories. Her whole life was devoted to the women who performed in burlesque and making sure their story was heard. I will always remember her as she was when she made her museum tour spiel. She wasn't a person who lived in the past, but a woman with a vision for the future. She made it come true. An inter office parcel from the Chairman of the Broad. Dixie was a loving and open woman She adored new classic performers, performance artists, comic strippers, strip joint strippers. When I told her how much students love learning burlesque history, she reminded me to have them find their own style as well. She always expressed delight with every new performer she met and had a unique compliment for everyone. Without her, neo-burlesque would have been a short-lived novelty. With her, it was a community and an art with a rich history. As I contemplate the unfortunate passing of Dixie Evans, I envision a larger than life woman who's spirit left a legacy that all future burlesque entertainers will tribute and embody forever. I visited Dixie only two months before she passed. She was still beautiful and always will be. "I met Dixie Evans in Helendale while playing piano in San Francisco's Famous Burlesque Orchestra and singing for the Cantankerous Lollies in 1999. I was introduced to this wacky roadside attraction, played spin the bottle in an old goat barn, met my geriatric punk rock boyfriend who played the baritone sax, and met the selfless proprietress Miss Dixie Evans - The Marilyn Monroe of Burlesque. The band learned "Running Wild" from Some Like It Hot - Dixie in her 70's then pulled out all the stops with a little white ukulele covered in plastic rhinestones - Her Marilyn was SPOT on! She was SO sweet. She let me strum her broken white Marilyn Ukulele and pose for photos. She told me I had talent. It felt so CRAZY unbelievable that she liked me on stage! I always felt like I did not really fit in to the burlesque scene being a musician and singer. She would always remember me - mostly for playing piano but for my naughty nautical Shirley Temple. She would praise me for that number and it felt so good coming from her! Her encouragement felt like a million dollars to me! If Dixie thought I belonged then dammit - I did. She even let me play with her Shirley Temple doll she had as a child. The doll had wild hair, one majorette boot, one bare foot, and a crocheted green dress. I felt so lucky she let me play with her doll from her childhood. She would share stories with me about her days in showbiz that I would then share with others I met on the road as a burlesque MC and second generation burlesque musician. It felt so special to write her because I would always get a thank you note back. Dixie holds a very special place in my heart. Her spirit and selfless generosity will always live within me". A. Pontani, Tempest Storm, Kitten on the Keys. Dixie was the ultimate storyteller. Whether it was about her time in Bimini, late nights at the Place Pigalle, the goat farm, or even just a great deal she found on gloves or where to get the best burger in town, she always had me captivated. I feel honored to have been able to spend so much time with her and call her a friend because she was a pioneer and burlesque legend, but even more than that, she was an amazing person who was kind to all. She not only paved the way for us, but inspired me personally with her never-ending zest to do more and create more, even at 86 years young. Dixie's commitment to the burlesque community over the decades has been the through line for many of us in the burlesque, strip tease and exotic dance worlds. To know that she, too, got her start in circus performance gives me pride in the amalgamation of two of my favored performance styles. May all of us strive to live the long, fulfilled life Dixie Evans demonstrated. I met Dixie one night after my performance in Absinthe at Caesars Palace. I noticed her as I was flying down from the top of the theater for my entrance. I open the show with the first song I ever wrote to perform burlesque to, and so it seemed fitting that I would spot her out of almost 700 people in the audience with her sequined black and silver blouse and bombshell blonde hair. She had the biggest smile, a contagious energy and was the first in the audience to stand after the show. It was truly a treat to meet her. Without her, I may have never fallen into burlesque in the first place, and my life would be far less sparkly than it is now. The unifying force of Miss Dixie Evans has brought together four generations of strippers, go-go and burlesque dancers since 1991 when she started the Miss Exotic World Pageant. Thanks to her inspiration we have a multi-generational, international sisterhood (with a few brothers), which has catapulted Burlesque into our modern day world through us. I never "officially" met Dixie or took a picture with her. I had been to a few of her birthday bash celebrations and had seen her years ago at the BHoF. Unfortunately, I didn't get the chance to listen to her or her wonderful stories. I was hoping to soon meet her, as her soul and essences , I believe, live in each and every burlesque performer. She has inspired me to continue to keep the history alive, if it wasn't for her...we wouldn't be blessed with what we have now. It's important for our future and the future generations to know. I met Dixie a couple of times in my trips to Exotic World (or Burlesque Hall of Fame Weekend.) She was very nice and full of amazing stories. It's undoubtedly the ending of an era. I met Dixie at Oh La LA in Los Angeles many years ago. She asked me if I was attending BHoF I had told her that I wasn't sure money was tight. She told me "You better *%&*ing show up", and when told by an elderly lady in such a manner you do as you're told. 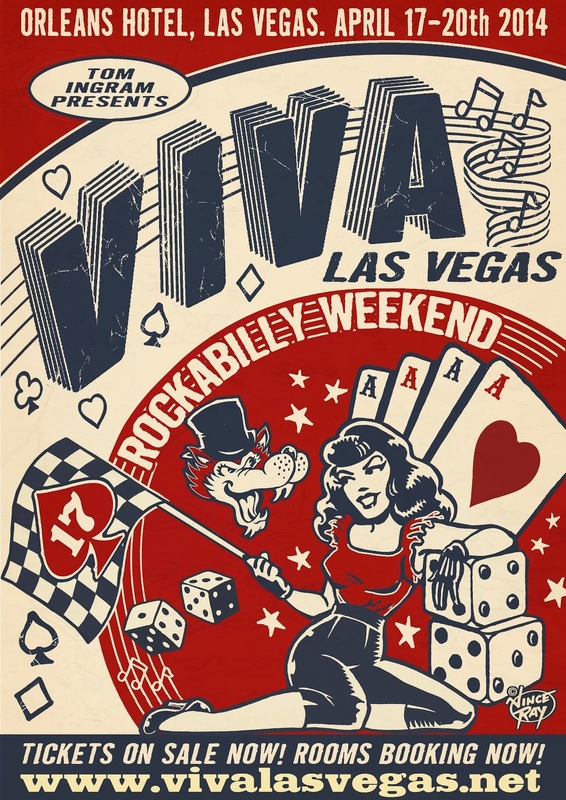 That was the first year in Las Vegas I have been back every year but one as a volunteer for the event and am now on the planning committee. 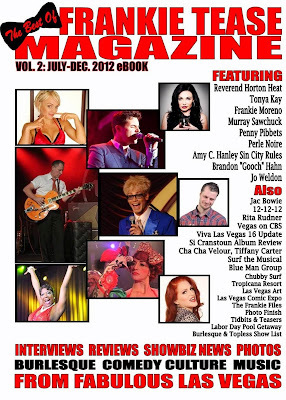 Check out the "Best of Frankie Tease Magazine" online and ebook series.